Art Licensing: Why Walk Wholesale Trade Shows? The Atlanta Gift Show at the AmericasMart Atlanta is the largest gift show in the U.S. 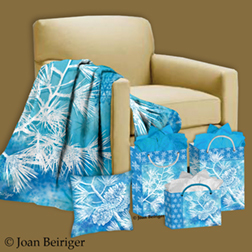 The January 2013 (January 11-16) show did not have the huge buzz of the 2012 show (2012 January Atlanta Gift Market: surge in buyer traffic gives high hope to economic recovery) but wholesalers seem pleased with the traffic and sales. According to Gift & Dec magazine articles (see links below) the show started with okay attendance and "continued to gain momentum as buyers continued to make their way to market on Friday and Saturday." Gift & Dec magazine reported that fashion is presently one of the most popular categories in the gift industry. Artist Patience Brewster has entered the fashion industry with one-of-a-kind clutch purses. Carver Jim Shore now has a line of jewelry, leather tote bags and compact mirrors under a new brand JS-for Enesco. And, Kelly Rae Roberts has new jewelry and tote bags with Demdaco. Find out more about the products and trends seen at the 2013 January Atlanta Show by reading the following reports. • Alex Colombo (artist) "Atlanta Gift & Home Furnishings Market 2013 - Show Recap and News"
• Caroline Simas (artist) "Atlanta Market - Jan. 2013 Recap"
– "Direct from Market: Atlanta, January 2013"
– "Direct from Market: Atlanta, January 2013, Part 2"
• Enesco (manufacturer) "Tour Our Atlanta Showroom"
• Jane Maday (artist) "Atlanta Gift Show 2013"
• Jane Shasky (artist) "AmericasMart 2013"
• Jim Marcotte (agent for Two Town Studios) "Doin' The Atlanta Hop"
• Magnet Works (manufacturer) "Atlanta - January 2013"
• Paula Joerling (artist) "Atlanta Gift Show"
• Robin Davis (artist) "Hearthfelt Blessings with Carson"
• Terri Conrad (artist) "Consider it pure joy - after Atlanta"
• Velvet Lime Girls (artists) "Mart JOY!" There is a lot of talk among retailers and those in the art licensing industry about attending the Atlanta Gift Show each January and July. It is because Atlanta is the largest wholesale gift show* in the United States. Thus, there is a huge selection of products for retailers to purchase and artists/agents to view. Not everyone can afford to go to Atlanta but they may be able to go to the smaller regional trade shows that are located closer to them. Read "2013 - 2014 Wholesale Trade Gift Shows" for the dates and links to websites of trade gift shows in the U.S.and other countries. Note: Many of the trade shows are held twice a year - first and third quarter. 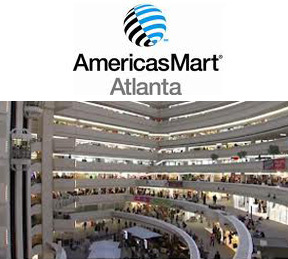 * The AmericasMart Atlanta campus has four buildings with each building 15 to 24 stories high. There are about 5000 permanent showrooms and during the show an additional 4000 to 5000 temporary booths. Large shows that are at venues like the AmericasMart Atlanta manufacturers either have their own showrooms, hire distributors to show their products in the distributor showrooms, or have a temporary booth. There are much more manufacturers that license art at large shows than at small ones. Often licensing/art directors of manufacturers that have showrooms attend the show. Some of them make appointments with artists and agents to view artwork. Also, some of the licensing/art directors of manufacturers that hired distributors do attend the show and are willing to talk and view the work of artists. At small shows very few manufacturers that license art have showrooms and depend mostly on hiring distributors to show their products and take orders. Rarely do the licensing or art directors for these manufacturers attend small shows. Note: Distributors are at shows to take orders and make money. They tend to be less friendly and willing to talk to artists. However, walking smaller shows is still valuable to see a variety of colors and themes on products to give you inspiration in creating art. The following are some reasons why artists and agents go to trade shows; especially the large ones. Also, read art licensing agent Suzanne Cruises article "Tips on Walking Trade & Licensing Shows." Going to a tradeshow is a good way to see your art (or your artists art if you are an agent) on products of your licensees, how the products are displayed, and have a chance to ask how they are being received by retailers. And it is always a thrill as an artist to have your picture taken next to your art on the products. Some licensees ask artists to sign products of their licensed art during the show. 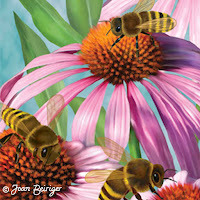 This allows buyers to get to know the artist and entices them to purchase product. Signings usually occur at large trade shows. Walking tradeshows is helpful in getting contact information of manufacturers that license art. It is also helpful in finding manufacturers that may not yet license art but have the potential. Some agents go to a lot of trade shows to find manufacturers and not all are gift shows. In his blog post "And You Are?... ", agent Jim Marcotte stated "We do have some licensees that exhibit at these [niche] shows, but we were really there because of the “ya never know” factor – meaning there is no good substitute for getting out there in front of a wide variety of new potential licensees, talking about what they make and what we can bring to the table." Artist and agents find that the large gift shows are a good place to make appointments with art directors; especially at the January Atlanta show. Most appointments are booked by email or phone before the show. Although some openings may be available, if the artist or agent contacts the manufacturer at the beginning of the show. Attending trade shows are a great opportunity to meet with other people in the licensing industry and to connect with manufacturer art directors. I have learned the most interesting and helpful information when discussing products with art directors, distributors and sales reps. Walking shows is full of inspiration of themes, colors, icons, art styles, and type of products. Artists and agents come away from the show with an understanding on what manufacturers are selling to retail and what seems to be prevalent NOW. But according to agent Jim Marcotte, looking at trends at Atlanta Gift Show or any trade shows "... is not a great place to find emerging trends, in fact I will suggest that by the time you see products on the shelves in the Mart they are often approaching the end of the trend cycle." Read about his experience at the 2013 Atlanta Gift Show in his article, "Doin' the Atlanta Hop." However, it is still useful for artists to study recent trends so that they are more knowledgeable about the industry and can make a better decision when creating their art; take a chance on trendy art or stay with the tried-and-true. The purpose of exhibiting at trade shows is to sell product so that it may not be possible to attend some shows that have stringent rules unless the person qualifies as a buyer or is from the press. But each show has different qualifications so it is important to look at their website to see if you have the proper credentials. Usually buyers and the press may attend free but some shows will charge a fee for others such as a manufacturer not exhibiting or a guest of a manufacturer. Below are ways artists and agents can attend trade shows if they have qualifying credentials. Licensing: Brand Building with Marketing That Really Counts! This must read article by marketing expert Linda Mariano discusses why each person is a brand and lists ten key points necessary to market a brand. With a career that spans 30 years, Linda is a leader in marketing, brand management, e-commerce and promotion initiatives. Read Linda's profile for a description of her skills in driving business and building brands for organizations and licensors including Thomas Kinkade. She is managing director of marketing at Redwood Media Group. The company helps artists grow their business. Brand Building with Marketing That Really Counts! When people see you, read your blog, visit your gallery or studio, see products with your artwork – all of it is a reflection of you as a brand. Whether the artwork is brandable or not is not the point – the point is representing yourself, your work, your gallery, your studio, all of it with consistency. All of those elements - and more - create a branded image. It’s Happy Bunny is branded artwork – but Jim Benton (the artist who creates It’s Happy Bunny) is also a brand unto himself. And quite frankly, that’s how he got started – by branding himself consistently and getting his work out there. Telling his story over and over again – created Jim Benton as a brand. Then there was viability for It’s Happy Bunny. Ask yourself: What makes some marketing stand out in a crowded marketplace? Is it the brand or the way it is positioned? Perhaps you have never considered that you are a brand – that everything you do is a reflection of that brand. And that is where marketing that really counts begins. So have you thought about you as a brand and how it is perceived? What are the key elements of your brand? Are they recognized by your customer? Creating marketing that is in sync with your brand and reaches your customer are the two most important keys to success. Artist, Gallery Owner, Art Publisher, Agent – no matter how you are involved in the art industry – you can use this list to evaluate your marketing on a continual basis and be on your way to creating marketing that counts – and building your brand! 1. Make your brand evident in everything you do! Be consistent. Always use your logo – it can define who you are and make you stand out. And add a descriptive tagline that tells more of the story. You want to take the opportunity to give the collector or consumer more information in a catchy appealing way. Build their interest. And always make sure that the logo and tagline describe what you do and who you are. “Coca-Cola, Open Happiness” – “Home Depot, More Saving, More Doing” – “Mastercard, Priceless” – all great examples of how they are creating a brand message every time you see their marketing. The way you position your brand is a critical component to capturing their attention. Your ad, your flyer, your signing, every element of your marketing should begin to tell the story of the art, the artist, the gallery – you! Giving a frame of reference, making sure it is easily understood and memorable and using great on-trend colors and design captures attention. And once you have captured their attention, your audience is intrigued and begins to experience the brand and your marketing message. And you have started to create something that is memorable. So you’ve got their attention, now what? Now you tell the story behind the brand and its relevance. Ideally the tagline starts the story, the colors and design of the logo reinforce the story, and now you need the one or two sentence description about the artist and their inspiration or the Gallery and who and what it features. A few examples that illustrate the brand and story concept: “Britto: Art is too important not to share” – “Wyland, Marine Life Artist: Reaching out to people everywhere with a message of art, nature, and community” – “LeRoy Neiman, Contemporary Artist: Indelible images defining the 20th Century” – “John Scanlan, Windows to the World Fine Art Photography”. Now you need to evaluate – everything you are doing. What, why, how, when are you doing it? Remember this old adage: “If you do what you did, you’ll get what you got – but the results will be less.” And taking a step backwards is not what you need in today’s fast paced marketplace. So if you have a “tried and true”, it’s time to refresh it! Trying new avenues and new strategies can lead to expanding your brand and reaching new customers. You need to identify your customer. Are you trying to reach a repeat customer or a new customer? Remember that your database of needs replenishment on a constant basis. Statistics tell us that attrition and the economy makes even the effectiveness of even the very best list of customers decrease by 15% or more each year. Getting a new customer means thinking outside your normal demographic – think about new affiliations, partnerships, non-competitive markets and businesses. Your marketing plan is key to maximizing your reach and bringing in new and repeat customers. There are the traditional marketing avenues: print ads in newspapers and magazines; TV and radio; direct mail catalogs, postcards and letters; flyers and hand-outs; and the phone for re-connecting with former customers and making cold calls. Sending out regular attention-grabbing press releases can get you free exposure in local publications. Of course, don’t forget social media marketing! Be there on Facebook, LinkedIn, Twitter, and Pinterest. Give everything an updated look – and grab your audience’s attention! Start with an attention getting headline, add a powerful image. Create copy that sells and make sure you have a call to action with a strong incentive that warrants action. Remember it’s a CAMPAIGN! You need an integrated plan with multiple points of messaging. And advertise in the right venues to reach your target audience. Keep in mind that an affluent audience and high-end collectors expect high-end product and events whereas moderately priced product has a more general market appeal. In this case, repetition is a good thing – it will reinforce your branding while reinforcing your message. Of course you have a website, but have you approached it as one of your critical marketing venues? It is essentially your online brochure or catalog – it’s the paramount place for your brand presentation. Evaluate it with the same critical eye that you would your other marketing materials. Make sure your logo is on every page, the tagline is short, snappy and engaging. Your website is THE place to tell your story – make sure it is interesting and compelling. Can you easily see what is being sold or promoted? Don’t forget the call to action. And be sure your contact information is on every page. Do you use email campaigns? They are an easy, inexpensive way to send updates and new information. Treat them the same as you would any communication. Logo, tagline, contact information and, of course, clear directions and response capabilities. Use your email campaigns to drive traffic to your website, gallery, studio and special events. Get your “fans” and collectors into the marketing picture! Use social networking like Facebook, LinkedIn, and Twitter to get the word out. Link everything back to your website and maybe even give incentives for participating. Create a blog and write about your area of expertise – you know what you’re talking about! It’s all about inviting comments and interaction, encouraging discussion and opinions, make it a “happening”. And the fun is you get to see what people are writing and can use it to your advantage to learn from your visitors. And don’t forget community and charity opportunities as a way of reinforcing your brand. These can be great venues for getting to know people who support and appreciate the arts. Low cost or no cost opportunities such as open studio, gallery walks, decorator show house events, art fairs and shows, directories, and local charities where you can donate artwork to raise awareness. And they will spread the word about you too! Make sure you know what they want! You can ask them directly – or simply discover it by looking at the info you already have. Take a look at your best sellers, specific customers’ purchases, and requests for something that you do not currently offer. Now match what you learn with what you offer – maybe it’s as simple as offering a different size artwork or a different frame or a different color. Make every customer a repeat customer. You want to give each and every person a reason to come back. It is really the experience that they have with you that makes you, your gallery or studio, and artwork memorable. Some even say that the artwork they take home is the “souvenir of the experience!” Imagine that great experience as a pebble dropped in a pool of water with ripples ringing out and out – that’s what can happen when your customer has a great experience and wants to tell everyone about it! What’s happening on a daily basis in your gallery or studio? You need to have a fresh, exciting presentation that is invites the customer to want to experience more. More about the artwork, more about the artist, more about every aspect of your brand. While you may have special events and promotions, make every day an event to insure you are more effective in the way you engage your customers. And your programs and campaigns – plus that all important experience – brings them back over and over again. 9. Bottom-line - it’s your brand and the impact it makes! Don’t retreat! Get out there and be seen! In a challenging economy, aggressive new businesses win by initiating advertising and marketing strategies while their competitors are trying to save money! Remember: Keep it real – and that means relevant! Great brands with effective marketing say to people, “Here's what we've got. Here's what it will do for you. Here's how to get it.” Now get going to build your brand with an effective marketing strategy! This article was updated 7/21/18.